Low Retention Filter Tip, Phenix Brand w/ Hinged Box Rack, Graduated, PP, Certified RNase, DNase, DNA and Endotoxin Free. Universal Fit For All Gilson/Rainin Style Pipettors Except for LTS Pipettors. 1000ul Axygen Filter Tip, Low Retention, Sterile, 10rks/100, Certified RNase, DNase and Pyrogen Free. P1000 Style. 200ul Axygen Filter Tip, Sterile, Clear, 10rks/96, Certified RNase, DNase and Pyrogen Free. Universal fit for most pipettors including Matrix 200ul. 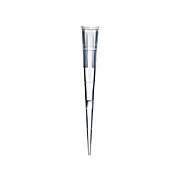 10ul Axygen Filter Tip, Low Retention, Sterile, 10rks/96 Eppendorf Style, Certified RNase, DNase and Pyrogen Free.